When is it safe to return to normal activities after coming down with the flu? 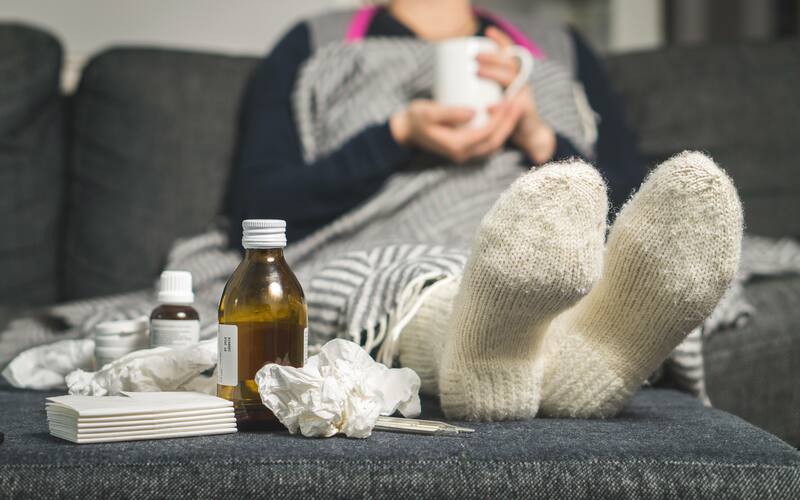 "A general rule of thumb is to stay away from work or school until fevers have resolved for at least 24 hours," says Dr. Pritish Tosh, an infectious diseases specialist at Mayo Clinic. While recovering from the flu, Dr. Tosh says, "Most people, including most children over age 12 months and most healthy adults, will do just fine by staying at home, but also taking care of themselves, with plenty of fluid and plenty of rest." Young children and older adults are especially at risk of complications from the virus. Dr. Tosh says prescription antivirals may help. "There are classes of medications called antivirals that are effective in stopping viruses such as influenza from continuing to replicate and infect other cells," says Dr. Tosh. "When people get these antiviral medications for influenza, they can often feel better, but more importantly, when we give them to people who are at high risk of complications, you reduce the risk of complications, including hospitalization and death." Antivirals are not the same as antibiotics, which fight bacterial infections. Seasonal flu vaccines remain the best defense against influenza.